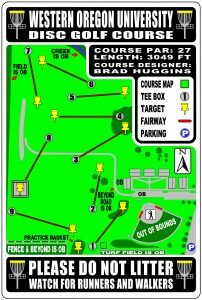 The 9-Hole (par 27) Disc Golf Course is open to Western Oregon University students, faculty and staff and the surrounding community. The course is located north of the Campus Recreation Turf Field. 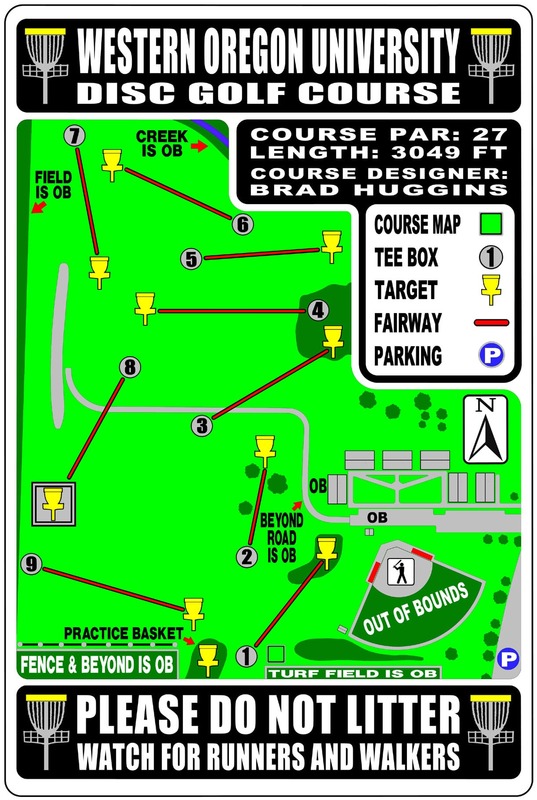 A course map and rules are located next to Hole #1. There is no charge to use the course. Players may use their own discs or check out a set at the Peter Courtney Health and Wellness Center´s front desk. The course is open from dusk to dawn and is closed during Cross Country home meets. Regardless of the activity, all participants must understand they are assuming risk when they take part in an active recreation program. 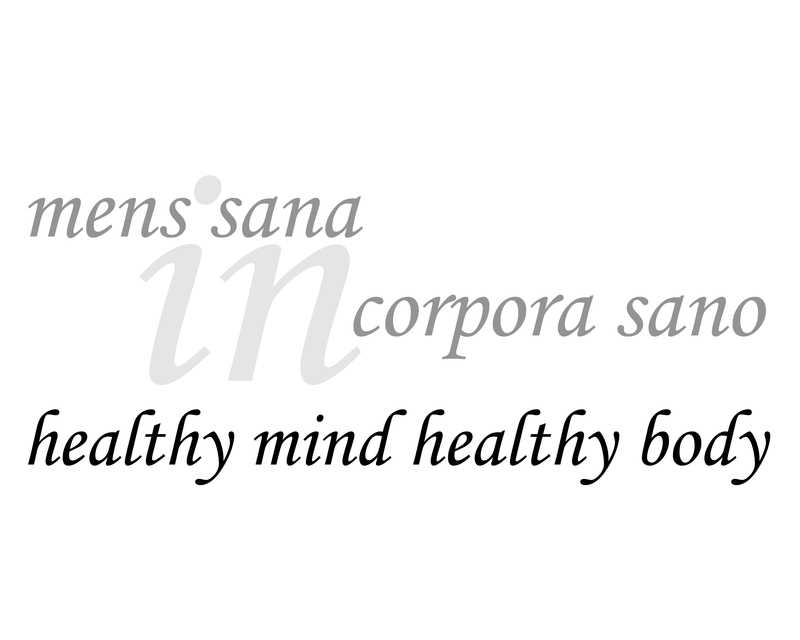 Each person must be aware of this assumption of risk and recognize that his or her participation is voluntary. 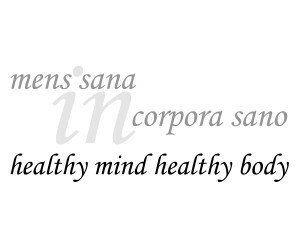 Each participant also has a responsibility to use prudent and ordinary care in his or her actions. These risks could include, but are not limited to: muscle cramps, nausea, fainting, abnormal blood pressure, chest discomfort, and even death. Individuals are encouraged to have a physical examination and obtain adequate health and accident insurance prior to participation in any recreational and fitness activities.